The biggest takeaways from my wedding day, and why it felt so perfect. Sure there was a lot of planning involved, but when it was finally 10.15.16 I didn’t have a worry in the world. This isn’t the story for all brides. Way too often we hear about bridezillas, being so freaking stressed out the day of they just want it to be over with, or being so rushed they forget to eat and pass out at the alter (this literally happened to a bridesmaid of a previous wedding at the Denver Athletic Club). And this just wasn’t the case for me. Now I’m not saying that there wasn’t stressful moments in the planning process – for example I messed up some of our RSVP cards and really upset some family members (but they got over it) – but when the big day had finally arrived I felt ready, excited, relaxed, beautiful, and confident. That is the reason why I’m writing this – because if this post helps any future bride feel the way I did on my wedding day then that would bring me so much joy. As soon as I got home from the surprise engagement in Seattle, I started planning. Now I know everyone’s timeline is different, and for some people they could be engaged for years before deciding to tie the knot, but my advice is to give yourself at least a year to plan the big event (or maybe not so big event). The best engagement gift that I received was The Knot Ultimate Wedding Planner & Organizer from my good friend Carey. Ladies if you have a good friend that’s engaged – GET THIS FOR YOUR GIRL!! People that know me best will tell you I have room for improvement in the organization world. This binder really helped me stay on task, prioritize what needs to be done first, brainstorm small details, budget, and so much more! So definitely the most challenging part of the planning process for me was finding the perfect venue. I’m not kidding when I tell you I visited at least 10 different venues in Colorado. When David and I were discussing what was most important to us (venue wise) we came up with The 3 C’s: it needed to be convenient for all our out of town guests, the capacity had to fit at least 200 people (both from Kansas, surprisingly 200 is a small wedding), and it had to be ‘classy as f***’. (Oh, and that last little bit – it had to fit within our Budget). 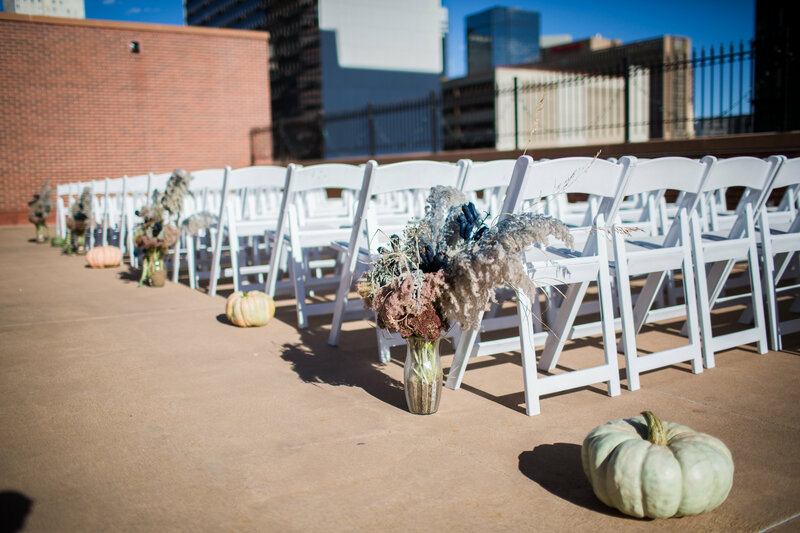 Haha, so after searching high and low we finally found the Denver Athletic Club – the absolute perfect place for us to get married. Besides the criteria mentioned above, it was all-inclusive (WHICH IS HUGE) with catering, bar, clean-up, wedding coordination, and call/email support throughout the whole process. I can’t thank my coordinator, Natalie Cutter, enough for everything she did for us to make our day perfect. The reason why I can say I WASN’T a bridezilla was because Natalie told me so herself, thank goodness. The thing I was most excited to give my girls, and myself, on wedding day was to get our makeup professionally done. NONE of us had ever got our makeup professionally done so it was such a treat. I was lucky enough that two of my girls, Trinity and Anna, are both amazing hair stylists so I knew I had to do something special for all of us. Besides finding the most perfect cutoff T’s from Spiritual Gangster that say ‘Good Vibe Tribe’ and the always comfy pajama shorts from Old Navy – what else could I do for my loves to make them feel just as beautiful as I? It was really, really important to me that my girl’s didn’t feel like the ugly bridesmaids with the ugly dresses. And this goes for both mother’s too – I wanted us all to feel magical, to forget about our flaws and focus on what we loved about ourselves. QUE – Alli B Makeup Artist. I found this gem on Instagram @alli_b_makeupartist searching #denvermakeupartist and she stood out right away. For one, she is working her business toward 100% cruelty and vegan free – and though I’m not vegan, I love the concept of no harm done. Just scroll away on her Insta and you will amazed at the beauty she captures in all types of women. 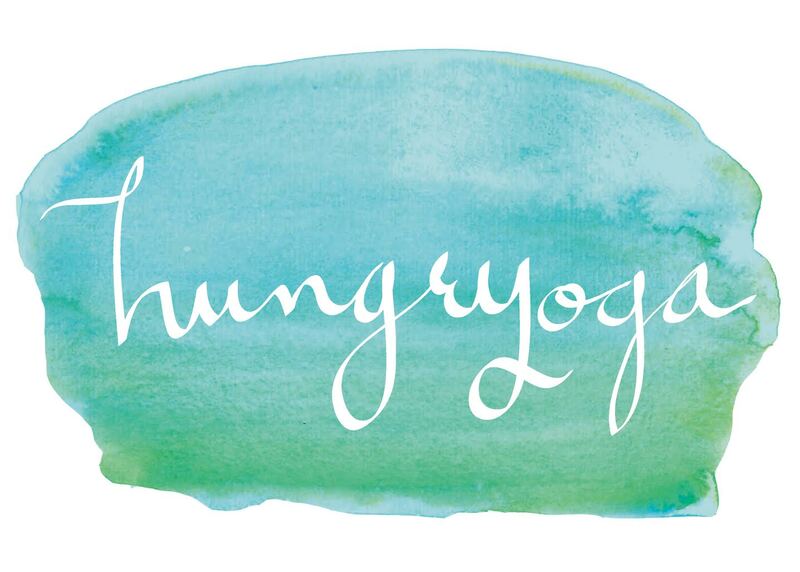 Come to find out Alli had heard of Hungryoga before I reached out to her because she lives in the Littleton, CO area. Sold. 4. UP the Self Care X’s 10 – Yoga, Strength Training, Baths, & Absolutely NO DIETING! I’m not freaking kidding. You need to make time for yourself now more than ever – just not in the punishing and shameful kind of way. My favorite type of movement, well you can probably guess, is yoga! I actually made an executive decision (of my own life haha) during this time to cancel my membership at my yoga studio and focus on my home practice. I did this because time was of the essence, and it was actually causing me more stress to try and make it to a class that took 2 hours out of my day. I realized that without leaving home I could fit in a lovely practice that was less less than an hour long. Some days I craved strength training so I looked to my loves Karena and Katrina over at Tone It Up for creative at-home total body workouts, or took my own strength classes right along with my clients at Ascent Therapy Clinic. I also UPPED my bath game – my favorite bath salts are from Pacha Soap. They are all natural and the founder Andrew Vrbas was in my [itty bitty] 21 person high school graduation class. For every bar of soap purchased they help educate kid’s in Peru about proper sanitation. Oh and they also are creating jobs there too, so amazing <3. The last little bit here was a “strict” rule of mine – NO DIETING! Seriously, as a bride you have enough to worry about, why would you add dieting onto the list? Okay, so this doesn’t mean you can eat all the nachos and all pizza and not feel bloated in your dress – that’s not what I’m getting at. HINTS why no dieting is under ‘UP the Self Care’ – you still should eat foods that make you feel better, not worse. What I’m trying to say is that you should practice mindful eating. Intuitively listening to your cravings. Somedays you will crave salads and quinoa and other days you will need what I like to call more substance, like spaghetti, one of our household staples. I encourage you to get creative with your meals and stay inspired in the kitchen. Try new recipes, give your favorites a healthy makeover (like ground turkey spaghetti with organic marinara sauce and brown rice noodles), and drop the black/white perfectionism around food before your wedding. I’m sure that I’m one of the few brides that ate breakfast, lunch, and dinner at her wedding. I know for a fact, that if I don’t eat my normal eating rhythms, that I WILL be a bridezilla or a Hangry Biotch, take your pick. Jinkies I totally understand why some people decide got straight to the courthouse to save money and start their lives together. We were lucky enough to have help from both sides of our families, and whipped out our own checkbooks too. I’m sure many people can agree that this is the most stressful part of the wedding. I found it really helpful to have a budget in mind from the very beginning, and to STICK WITH IT! When I was reading up I came across a statistic that said most couples go at least 30% over their budget – that’s INSANE!! Now everyone has different priorities about what is the most important to them and where to allocate the most money. For us it was (of course) food and booze (we like to party), but really that just translates to we wanted to take care of our people. So some little places that we saved money; our officiant (believe it or not his slogan was ‘the bargain minister’ and he did a phenomenal job.) We ordered Save the Dates and Invitations off of Vistaprint – such much cheaper then the fancy ones. We felt like we didn’t need to print ceremony programs so I made a pretty mirror sign instead. DIY projects were so much fun and saved a lot in the big picture. I made a ‘Welcome to the Wedding Sign’, mom made dried flower and grass bouquets to accompany us down the aisle and also cute little succulents for the centerpieces. All of us girls were together two nights before the wedding and homemade all of the extra desserts for the dessert table (Graham Cracker Toffee, Dark Chocolate Snickers, and Peanut Butter Balls). Other bargains were getting our wedding cake from King Soopers (it was absolutely gorgeous, half the price, and I only ate the ONE bite), buying centerpiece mirrors for 50% on hobbylobby.com, IKEA for candle votives, and picking a venue that needed NO extra decorating. So what if you were able to create your dream wedding too! One where stress and overwhelm didn’t take over your day, and you were simply there bask in all the amazingness around you. Well, hopefully this post gave you some insights on how to make your own dream, a reality. Something you may or may not know about me is that I studied abroad in Italy for a semester in Business School, and it was one of the most rewarding experiences of my life. I was immersed into the Italian culture, stayed on course to graduate college in four years, met new friends from all over the world, and grew more than I could have ever imagined. This recent article from Huffington Post, “7 Things Americans Can Learn From Italians”couldn’t be more on point with what I experienced while living in Paderno del Grappa, Italy. Reflecting on my journey, there is so much symbolism between the path I was on as a student in the CIMBA program, and the path I am on now as an Eating Psychology Coach IT. It is a prime example of how new life experiences make you grow as an individual, and allow you to find what you are truly passionate about. So here is my Eating Psychology Breakdown of Huffington Posts’ “7 Things Americans Can Learn From Italians”. I have heard numerous times, “Why are Americans so fat, and Europeans not?” They eat more cheese and bread. They drink wine daily. They definitely don’t workout as much as “we” do. So what’s their secret? 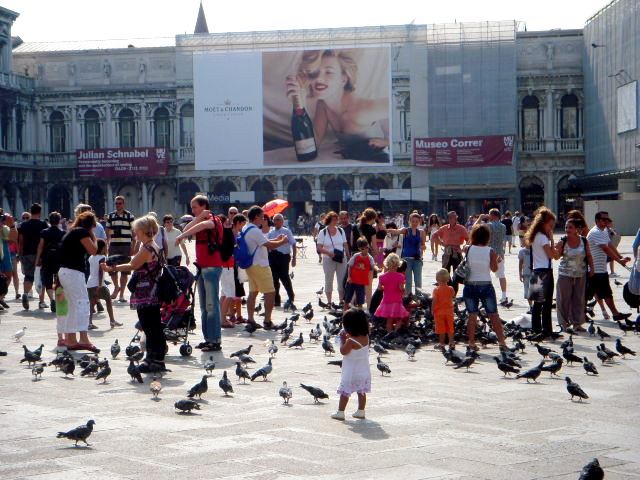 Italians are not trying to “Live in the Fast Lane” as so many American feel obligated to do. Americans work through their lunch hour, take a bite of food, and begin typing ruthlessly again to meet their deadline. We believe that ‘time is money’, and that’s the most important thing. We forget to take care of ourselves, and feel like work should come before our well-being. One of the most important things to improve your metabolism and your overall relationship with food is to eat slowly. What’s more memorable, gathering your friends together at The Melting Pot (a recent three hour experience of mine that will never be forgotten), or shoveling pizza down in front of the TV by yourself? I mean really… the eating experience can be so powerful! Like anything with such energy, it can be extremely empowering or terribly heartbreaking. I’m going to be vulnerable here, I drink too much. Growing up in Western Kansas, it’s part of OUR culture to let loose, real loose. That includes binge-drinking, “country cruising”, lake partying, eating our 4th meal, and passing out god knows where. Haha, judge all you want, but I still wouldn’t change it for the world. My best memories were those times, well, the bits and pieces that I do remember. Thankfully, I have grown quite a bit, and though sometimes I do drink more than I should still, I have seen significant growth in the this area of my life. It has been tough work, though. I’m learning how to let loose by using my personality, and not an altered mindset. Italians love their vino. But they don’t overdo it. Here in America, there’s a culture of binge-drinking. In Italy, a bottle of wine is shared among friends or around the dinner table. Stumbling around drunk in Italy is not viewed favorably. 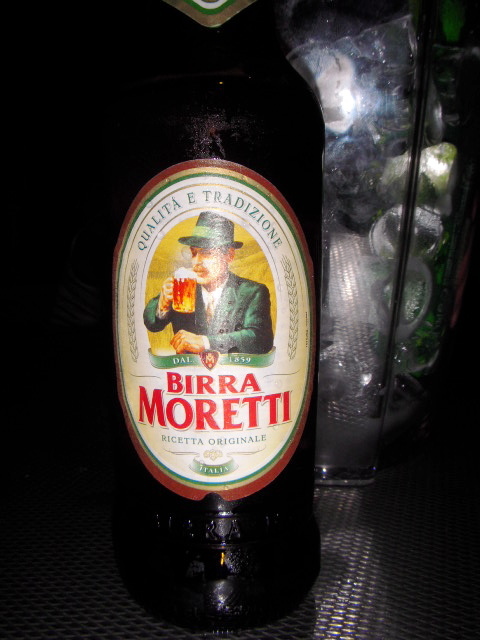 (I learned that one the hard way ; ) Italians like to drink, but they know how to keep it classy. There is a way to actually slow down time, within the same amount of time. For example, being late running around the house in the morning for five minutes will feel a lot different than meditating for five minutes. Find simple strategies throughout your day to be MORE productive, by actually slowing down instead of speeding up. Try these for 5 minutes the next time you feel anxious: deep breathing, a walk around the block, stretching, calling a best friend, or mindfully eating an apple. I recently made the move to Denver, CO, and a big part of that decision was to be close to mi familia in Atwood, KS, a mere 3.5 hours away (including one pee break : ) Before that move, I had a lot up in the air, I could have basically moved anywhere I wanted. With a summer of traveling the West Coast under my belt, the warm coastal climate was hard to turn down. When it came down to it, relaxing into the opportunities that arose and following my heart lead me to Colorado. As my Facebook status said this morning, “Isn’t it a good day when you know you are exactly where you are supposed to be? !” Why yes, yes it is a good day. As one of my mentors, Marc David, continuously reminds me, it is SO important to get into nature. It’s easy to be consumed by the city lights, electronics, or the comfort of our own home. There’s a renewed energy when you are outside, breathing the fresh air, watching the wind blow the leaves, and living like the animals we truly are. Ya, I sounds like a thumpa hippy, but hey, take your bike out on a trail and tell me I’m wrong. This one is great reminder for me personally. I can be caught in workout clothes, no makeup, and hair up on many days of my week. I remember how underdressed I always felt in Italy, and couldn’t imagine dressing up everyday as the Italians do. When it comes down to it, how do you want to take care of yourself? How will you express yourself today? If you’ve been feeling frumpy lately, take an extra 10 minutes in your morning routine to take care of yourself, and feel the difference. I hope you enjoyed this post, if you Italian, American, or somewhere in between, we can all learn something from each other. Being open to new cultures and making your own can make you a more rounded person, that will attract many differing individuals.